Shopping for Expendables Bobble Heads? He's expendable. From the Sylvester Stallone action franchise The Expendables, this 8-inch tall bobble head of Barney Ross fanning the hammer of his .45 revolver is constructed from heavyweight resin and individually hand painted in minute detail. 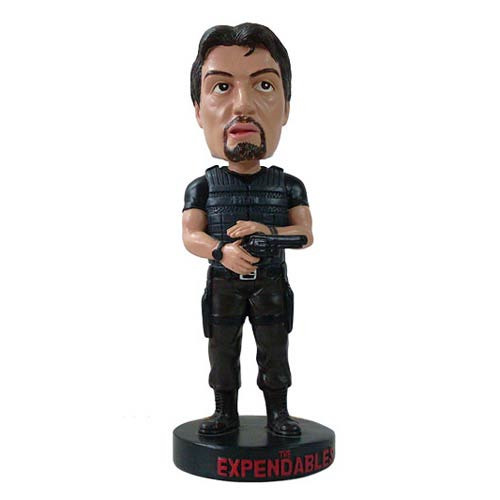 Get your The Expendables Barney Ross Bobble Head while you can! Measures about 8-inches tall. Ages 14 and up.